Weidenfeld & Nicolson has acquired UK & Commonwealth Rights (excluding Canada) in two new novels from Nathan Englander, in a deal struck by Caspian Dennis at Abner Stein on behalf of Nicole Aragi at Aragi, Inc.
Nathan Englander is the author of the story collections For the Relief of Unbearable Urges, an international best seller, and What We Talk About When We Talk About Anne Frank, and the novels The Ministry of Special Cases and Dinner at the Centre of the Earth. His books have been translated into twenty-two languages. He is the recipient of a Guggenheim Fellowship, a PEN/Malamud Award, the Frank O’Connor International Short Story Award, and the Sue Kaufman Prize from the American Academy of Arts and Letters, and was a finalist for the Pulitzer Prize in 2013. He lives in Brooklyn with his wife and daughter. W&N will publish kaddish.com in hardback, trade paperback, eBook and audio on 26 March. 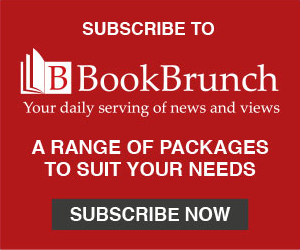 Knopf is to be the American publisher. According to the acquisition statement: 'kaddish.com introduces us to Larry, the secular son in a family of Orthodox Jews. When his father dies, it’s his responsibility to recite the Kaddish, the Jewish prayer for the dead, every day for eleven months. Lettice Franklin, editor, said: "Nathan Englander is, quite simply, one of the best storytellers of our times. 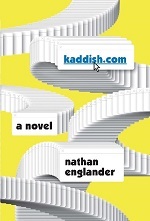 Everything he writes overflows with wit, intelligence, complexity and heart – and kaddish.com is no exception. About fathers and sons, grief and guilt, temptation, faith and the internet, it is a novel we are absolutely thrilled to be publishing at W&N." W&N has also acquired the rights to For the Relief of Unbearable Urges and The Ministry of Special Cases, which will be published in new editions, following the publication of kaddish.com.